Helen and Liam are engaged to be married and their relationship is stronger than ever. But when Helen encourages the young doctor to mend fences with his estranged family before the wedding, she unintentionally opens a dangerous can of worms. 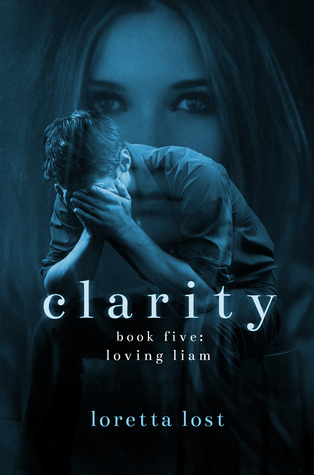 A devastating secret from Liam’s past emerges, threatening to tear him apart. The horrors of his family skeletons make him feel that it is a huge mistake to try to start a new family with Helen. Unable to cope, he pushes everyone away, including his fiancée and even his best friend Owen. I am standing on the side of the road and holding a newborn infant. She is looking up at me with curiosity on her face, and I can already tell she’s going to be my best friend. We’re going to do everything together, especially coloring and making snow angels. She’s really tiny right now, but I’m sure that when she’s a little bigger she’ll love playing catch with me. I have a ball, but I don’t have anyone to play with. First, I need to know her name. Turning to the side, I look at my mother who is sitting in the driver’s seat of the car and crying softly. I think she’s crying because it hurt a lot to take the baby out of her stomach. There is blood staining her dress, and she is clutching her midsection as her shoulders shake with sobs. She barely makes any sound, but she is shaking so hard that the car is trembling beneath her. I thought she needed to go to the hospital, but she said no. The baby in my arms is bloody and red. Maybe that’s why Mama never wanted to touch her. When she came out, I tried to wipe most of the gooey stuff off her before wrapping her up in Mama’s green sweater. Once I got it all off her face, I was able to see that she’s perfect. She has clear blue eyes and chubby little fingers. Her bellybutton was funny. I asked Mama what to do about the floppy string, but she wouldn’t help me. I look around in confusion. It’s early morning, and there aren’t many other cars on the road. Why would Mama want me to leave the baby here? It’s winter and there is a thin layer of snow on the ground. I shift the baby in my arms, because they are growing tired. She might be tiny, but I’m not that big and strong yet and it’s hard to hold her. I flinch at this prospect, and hug the baby tighter against my chest. I don’t want Papa to hit me anymore. He’s been away for a little while, but I know he’ll be back soon, and he’ll start hurting me again. She’s right. I have seen my father choke my mother before, and he always says mean things about girls. I begin to grow very afraid. Will he treat the baby in my arms even worse than he treats me? If putting her down means she won’t get punched or kicked by Papa, is that better? Somehow, she feels glued to my chest, and I don’t want to let her go; not for anything. I quickly move to do as she says, and place the baby down in the snow on the side of the road. The little girl looks at me in confusion as I stand up, and her tiny arms move a little, reaching out for me. I can tell she already misses the warmth of being held; she misses me. My heart is breaking. This feels wrong. “Quickly, Liam!” my mother shouts. Ripping my own coat off my shoulders, I lay it over the baby as an extra layer of protection. She makes a cooing sound as she looks up at me, and I feel tears falling from my eyes onto her cheeks. “I love you,” I tell her, bending down to place a kiss on her forehead. “I’m sorry. We’ll come back for you, little sister. Mama promised.” I have a terrible feeling, but I’m too afraid to go against my mother, so I run back to the car. I can hear the baby start to cry, and my insides ache. I have barely jumped into the vehicle before my mom starts driving away. I didn’t even get a chance to close my car door, but it slams shut with the force of the car’s acceleration. My mother is sobbing and the car is veering dangerously as she drives away at breakneck speeds. “Who?” my mother asks brokenly. I am terrified. There’s something wrong with my mother and I don’t know what to do. What’s going to happen now? Is my little sister going to be okay? I am her big brother. I was supposed to protect her. 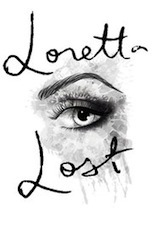 Loretta Lost is a USA Today bestselling author who writes stories where very bad things happen to good people. Mystery, tragedy, and danger complicate her unique romances between characters who will do anything to protect each other. In the two days of summer that she gets in Canada, she grows a garden of the hottest peppers in the world. She loves using these peppers to torture her guests and challenge their manhood. This could be why she isn't married. You will also receive a FREE book as a gift for signing up!